Please allow 72 hours or 3 working days for all repeat prescription requests. Allow 4 working days if your prescription is collected from a Pharmacy. Please ensure you fill in the prescription request form correctly, with your Surname, First Name and Date of Birth. 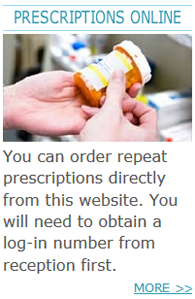 You can order repeat prescriptions from this website provided that you have a password to log into SystemOne. To obtain your password, please bring some photo id (driving licence / passport etc) to reception. 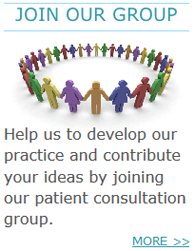 Each Practice within the UK is allocated an annual prescribing budget. We have never refused to supply expensive medication for any patient. This has included expensive fertility drugs and cancer drugs. In a bid to save money to pay for other vital services, GPs and Pharmacies are working together with the NHS to try to tackle the problem. One of the main concerns is medicines on repeat prescriptions, which are ordered and collected by patients but are NOT always needed because they have enough of the same medication already or have stopped using the drugs. Even if you never open them, once medicines have left the pharmacy they cannot be recycled or used by anyone else. Therefore please check what medicines you still have at home before re-ordering. Discuss your medication with your Pharmacist or GP on a regular basis. Patients are also being encouraged to have a free regular medicine use review with their pharmacist or prescribing doctor to discuss any issues they may have with their drugs. Another focus of the campaign is to raise awareness of the dangers of having unused medicines lying around at home. This may be a significant danger, particularly if there are young children present. Unused drugs in the home may mean that the patient is not getting the benefit they could be from their medicines. It also represents a large amount of waste. Wasted medicine means wasted money. It can't be used again and if we could save some of that money we could reinvest it.